After its remodelling, this distinctive building became home to the subsidiaries and offices of a Korean bank. Inside is the so-called Slow Core. This space is open 24 hours a day and provides visitors with both financial and cultural services. 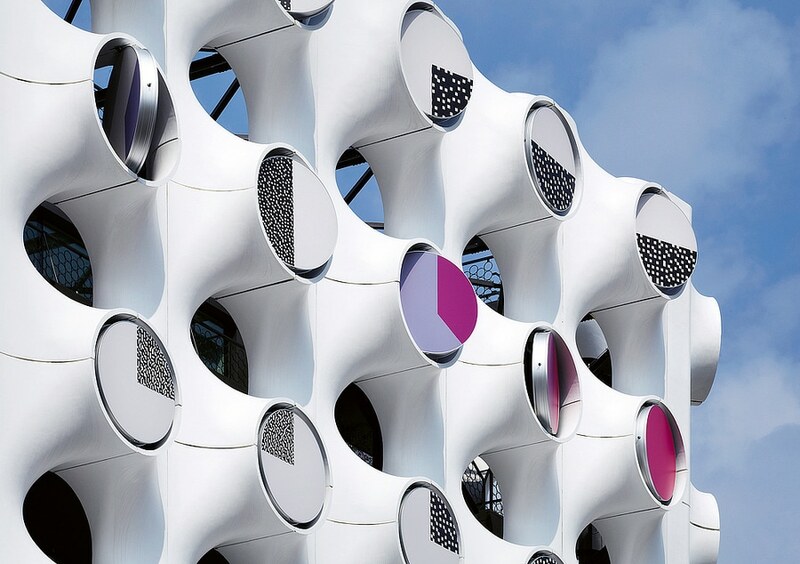 The building facade consists of Ultra High Performance Concrete (UHPC) using pre-fabricated modules that were assembled on site. 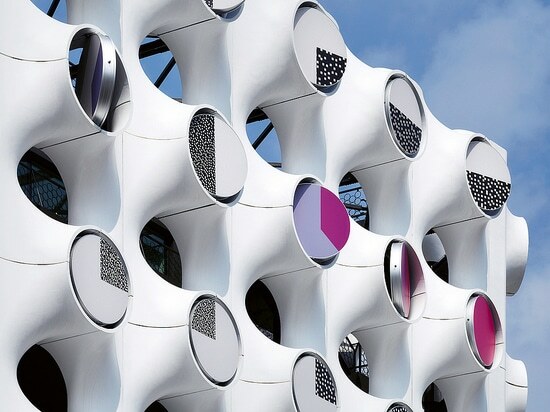 They contain 138 creatively designed discs which spin continuously and so attract the attention of passers-by. The powerful and eye-catching design of the Place 1 office building is captivating for its artistically sophisticated and unmistakable appearance.